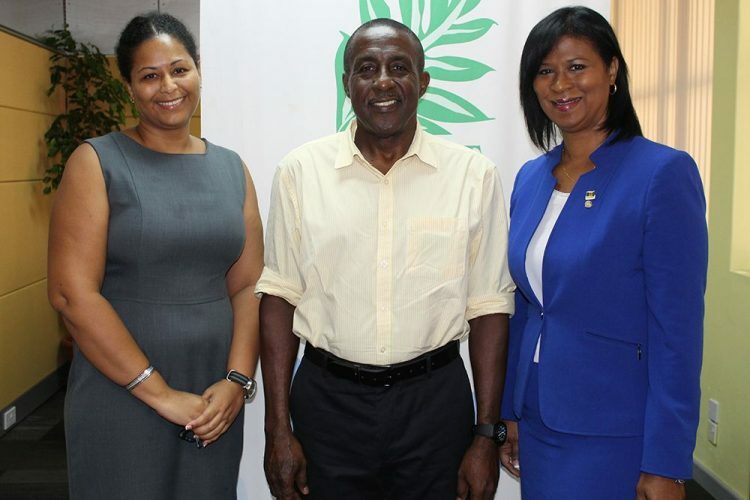 Vincentian national Annette Mark, who possesses a wealth of diverse professional work experience, is the new executive director at Invest SVG â St Vincent and the Grenadinesâ official investment promotions agency (IPA). Additionally, Invest SVG also welcomes a new deputy executive director, Vincentian Nadine Agard-Juillerat, who brings a strong business and marketing background with her to the IPA. âItâs a new challenge for me, but Iâve had many new challenges before, and I have risen to the occasion at all times. I plan to do the same at Invest SVG â take my experiences from over the years, and with the help of the staff, we can make something big of this!â asserted Mark. Mark also stated that she would like to see Invest SVG âcome up with new and innovative waysâ that will push the product that is St Vincent and the Grenadines (SVG) to the forefront on a regional and international level. A past student of the St Vincent Girlsâ High School, Mark also shared her hopes for the further development of Invest SVG. âI believe that change is important and it thus allows us to adapt to certain circumstances easily. The FDI (Foreign Direct Investment) arena can be a difficult place to navigate, but we have a new executive director, who comes with a great deal of experience and a wealth of knowledge, with whom we can make a positive difference to St Vincent and the Grenadines,â said Agard-Juillerat, who took up her post in early September. Markâs immediate previous post was Antigua and Barbudaâs chief immigration officer, and she has a legal educational background â holding Bachelor of Laws (LLB )(Hons) degree from the University of London (UK) and is a graduate of the Hugh Wooding Law School in Trinidad and Tobago. Mark was also legal counsel for the Office of National Drug and Money Laundering Control Policy in Antigua and Barbuda. Additionally, the mother of three is a former director of Anti-Corruption within the Office of the Attorney-General (Antigua and Barbuda) and has extensive legal experience in private practice in Trinidad and Tobago. Agard-Juillerat has previously held the posts of international customer relationship officer at the European Commerce Bank Ltd, principal at consultancy firm Helconia Ltd, and business facilitation manager at Invest SVG â among others. She holds a Bachelor of Science degree in Business Administration from the University of Rhode Island (USA); possesses training in FDI in the Caribbean, project management and banking; and is fluent in French, with proficiency in Spanish, Portuguese, basic Arabic and basic German. Chair of the Board at Invest SVG Anthony Regisford said that the Board is happy to welcome on board the new executive director and deputy executive director, and holds confidence in their abilities to lead the organization â especially with the new executive directorâs background and the deputy executive directorâs institutional knowledge of Invest SVG. âAnnette brings with her strong leadership, coming from her job as chief immigration officer in Antigua â which is a role that carried a heavy set of responsibilities and calls for mature leadership,â explained Regisford. He also acknowledged the fact that Mark, over the years, has lived in several regional countries â as well as further afield â and this has expanded her outlook and the way in which she functions on a professional level.